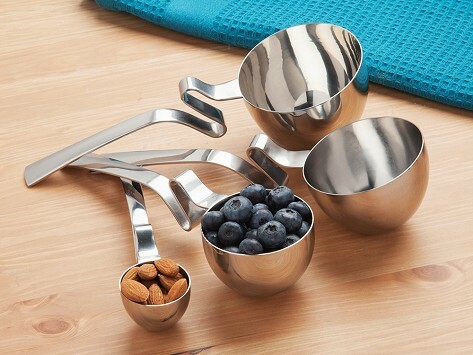 Durable, eye-catching serving spoons are cleverly designed to let you measure precisely the right amount of food. 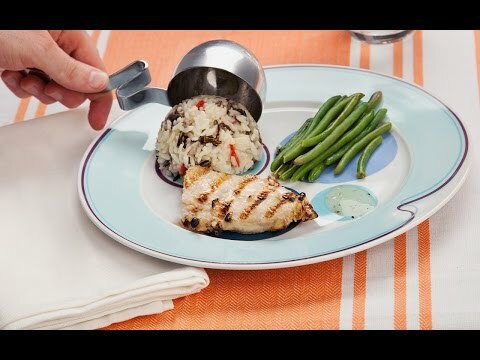 Long handles keep food off your hands and the zigzags let the spoons rest on the edge of a pot or bowl. Dimensions: 1 cup: 9.5"; 3/4 cup: 9"; 1/2 cup: 8.5"; 1/8 cup: 7"